Filmmaker #AliAbbasZafar is currently shooting Salman Khan starrer #TigerZindaHai in a cement factory in the UAE. Zafar on Monday shared a photograph from the shoot location and captioned: "Shooting 'Tiger Zinda Hai' at the stunning Arkan cement factory. Thank you authorities for your priceless support, trust me it looks beautiful." The Yash Raj Films (YRF) project is a sequel to the blockbuster film "Ek Tha Tiger". 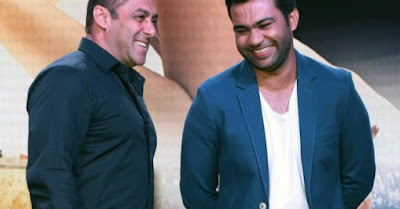 Directed by Ali Abbas Zafar, it features Salman and actress Katrina Kaif. The team of "Tiger Zinda Hai" will be shooting in Abu Dhabi over a 65-day schedule from May 4 at multiple locations in the city. A set is being designed by some of those workers who helped to build the "Star Wars" set in 2013. The two have previously worked in films like "Ek Tha Tiger", "Yuvvraj", "Maine Pyaar Kyun Kiya?" and "Partner".